If your teeth are filled with dark metal amalgam fillings, your smile is aging your appearance. Your discolored teeth may also cause embarrassment. Of the most concern to your dentist in Brampton Kennedy Square Dental, however, is the fact that metal fillings can also damage teeth. Amalgams expand with heat and contract with cold. This movement weakens the tooth wall, leading to fractures and allowing bacteria to enter and cause decay. Amalgam fillings contain mercury that may have negative long-term health effects. Tooth-colored composite fillings are a safer, stronger, more attractive and more enduring alternative to metal. They conservatively restore your teeth to strength and your smile to beauty. 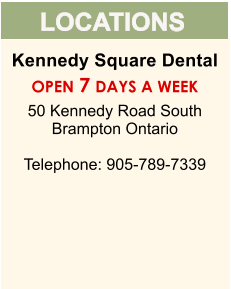 Our dentists at Brampton Kennedy Square Dental ensures the continued health of their clients by using only non-metal restorative fillings. 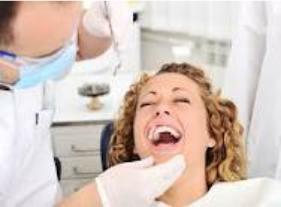 To fill a cavity, your dentist may first give you “freezing” (or local anesthetic), so you do not feel any pain. Your dentist then takes out all traces of decay, shapes the hole and fills it. Click here to book appointment.